If you’ve ever ordered a coffee when our head Barista, Luke Milbourn, is in earshot, you may have been treated to an impromptu lecture on the delicious balance of our espresso blend or the virtues of a Hario V60 over a Chemex. As he doesnt always get time to do the coffee justice, we thought we’d give him a chance to explain what the Coffee at Espresso Library is all about. Let’s start with the basics; Espresso Library is a coffee shop. Our coffee is a bit different from what you get in other places. It could be described as being an example of ”Third Wave Coffee”. Which deserves a little bit of an explanation. Firstly, we really like our coffee. We’ve put a lot of time, effort and ponderous thought into it. We’ve also got some great toys to make it with, including our custom made Slayer Espresso Machine, the ubiquitous Mahlkonig EK43 and a Reverse Osmosis filtration system (the kind used on the space station). 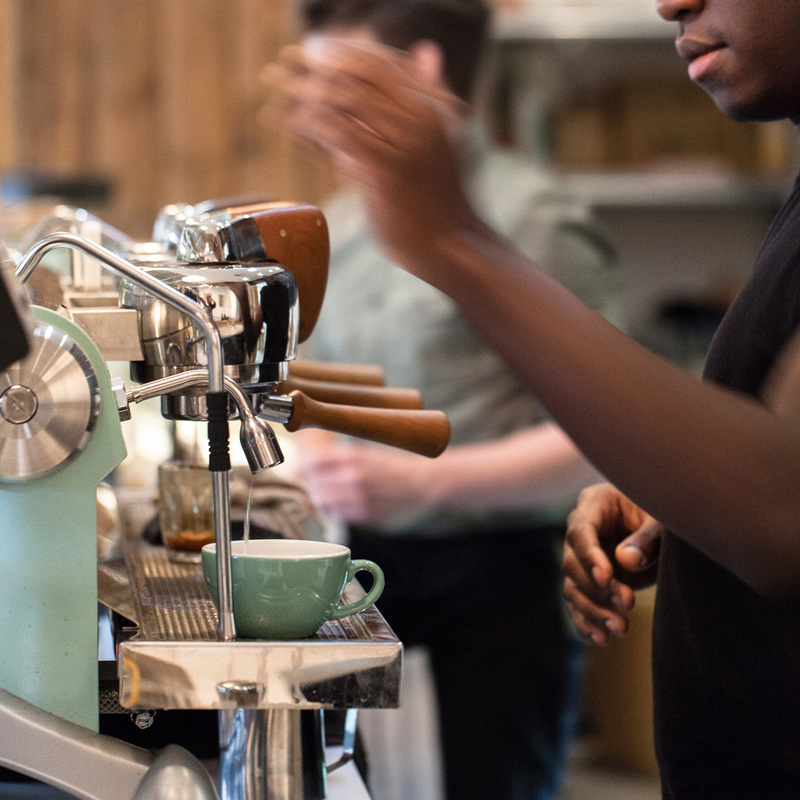 We love getting technical about grind settings and extraction rates. But we’ll spare you the nerdy details for some other time. Some of the kit we use does mean it takes a little longer than usual to make a shot of espresso. It also requires more precise technique when making your beverage. We spend a fair bit of time each morning making sure that everything has been Dialled In (carefully tuned) for the coffee that day. You may wonder why we go to such lengths for the sort of common caffeinated beverage that can be, and is, purchased by huge swathes of people every day. It’s not just to make some pretentious statement, to show off a fancy piece of kit or sound smart. It actually makes the coffee better. By the time we open a bag of our lovely Coffee Officina Beans, a huge amount of effort has gone into carefully cultivating the plants and harvesting the cherries before Rory the Roaster lays his hands on them. Not all coffee is grown equal. Rory takes a fine green bean and crafts it into the deliciously balanced Fiori Espresso Blend that sits in our grinders (more on them another time). Choosing to start with such a refined ingredient makes us want to do it justice. When an espresso is “pulled” (old machines used to have hand levers) water is forced through the coffee particles at up to 9 times the normal atmospheric pressure. Our shots take a bit longer to make than normal coffee machines as we Pre-Infuse the grounds, saturating them with water at a lower pressure first. Our shots are only acceptable if they yield a very specific weight, to within a gram, in a very specific time. That weight and time, as with the quantity of ground coffee, the fineness it is ground to, the temperature of the water and a number of other variables have been painstakingly selected after some considerable experimentation. 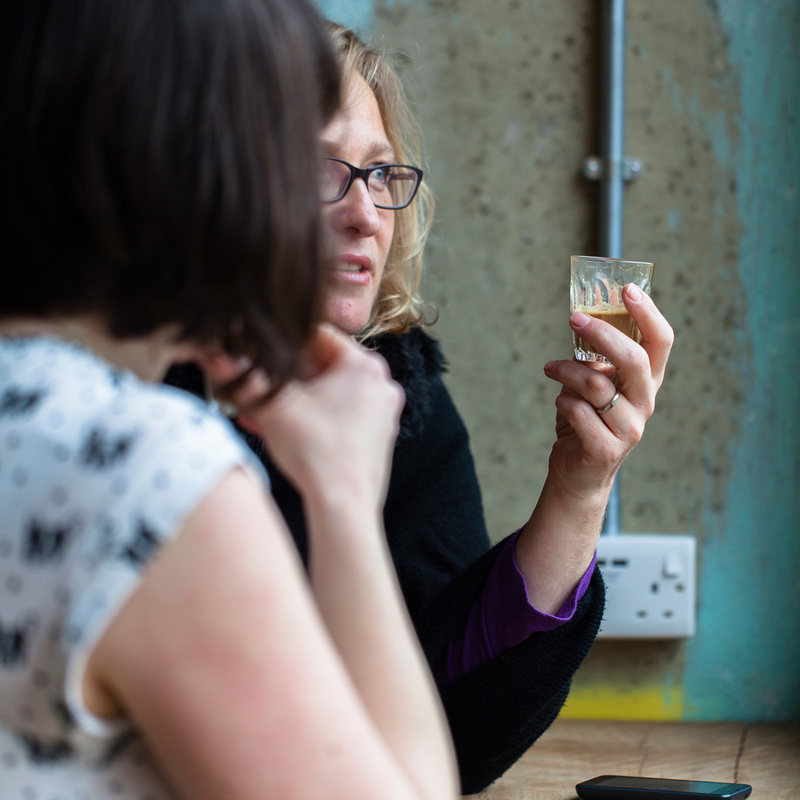 Perhaps the defining feature of Third Wave coffee is that a scientific methodology is applied, controlling all of the factors that effect extractions as closely as possible and then tweaking just one to see what it does to the flavour. All this means that the coffee made at Espresso Library is completely unique. So next time you pop by feel free to ask about what goes into your coffee. Every cup we make is drink we a genuinely proud of.